Left side: The healthy human hippocampus encodes scenes not only when they are presented above the water surface (supraliminal) for conscious encoding but also when they are presented below the water surface (subliminal) for unconscious encoding. 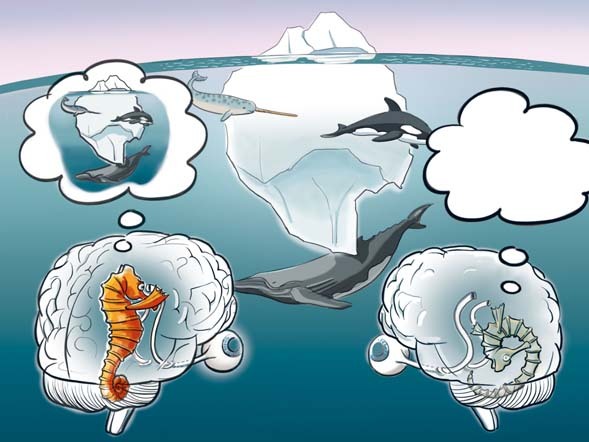 Right side: (Subliminal) under water scenes are no longer encoded by the human brain if the hippocampus is severely damaged and disconnected from neocortex (Duss et al., BRAIN, 2014) indicating that the human hippocampus is necessary for the unconscious encoding of episodic memories (illustration drawn by the artist Tom Künzli, Bern, Switzerland). We work in the field of cognitive neuroscience. Our goal is to elucidate the psychological mechanisms and the neural correlates of conscious and unconscious learning, consolidation and retrieval. 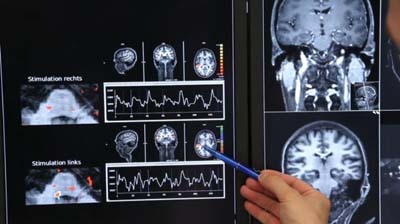 To this aim, we examine healthy individuals and neurological patients using behavioral methods, functional magnetic resonance imaging, positron emission tomography, electroencephalography, and polysomnography. Our findings suggest that the human hippocampal formation specializes in the rapid establishment of new sensory, conceptual, spatial, and temporal relations based on consciously or unconsciously experienced episodes. We study unconscious encoding in the wake state using subliminal (masked) visual learning material and in the unconscious state of deep sleep using acoustic learning material. Findings indicate that the hippocampal formation mediates the rapid encoding of new relations when encoding is conscious and unconscious, in the waking state and during deep sleep. Sleep-learning appears to be bound to peaks of slow oscillations of deep sleep. Unconscious encoding influences the success of subsequent conscious encoding of the same, similar and different learning material. Patients with hippocampal damage exhibit a decrease in both conscious and unconscious relational encoding and retrieval. We currently test for a potential advantage of unconscious over conscious information processing in situations where complex information needs to be processed and evaluated. 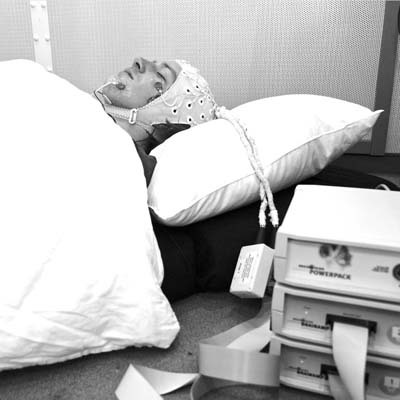 In an ongoing research project, we are examining the role of hippocampal sharp-wave ripples in sleep-learning and wake-learning using recordings of human intracranial EEG. Our research informs models of information processing, memory models and sleep theories. 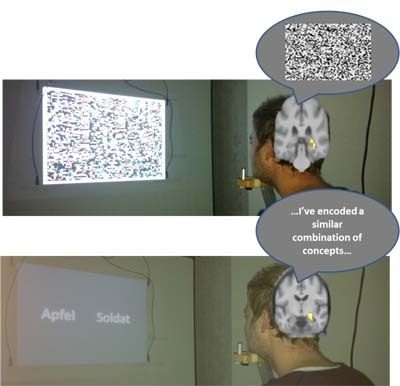 Both the subliminal (top) and the supraliminal (bottom) relational encoding of word pairs activate the human hippocampus in healthy participants.